You are here » Top: Forums: National/World News & Issues: Over/Under Giuliani? It is 10:00 p.m., May 3, 2018. Place your bet. AAAAAANNND its starting to look like "Under". No way Gunnar. 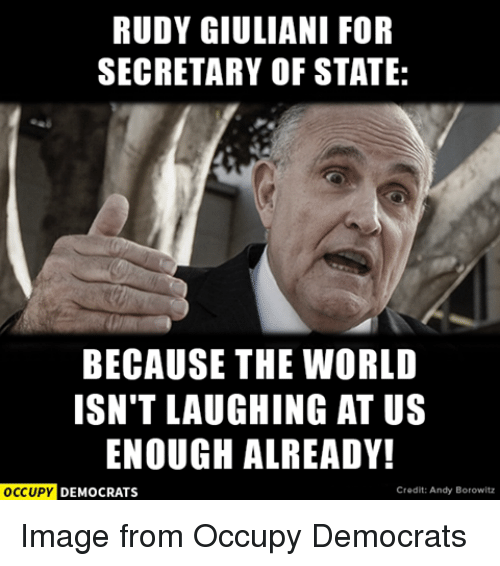 It'd look bad if Rudy doesn't last even ten more days. I say two weeks, tops. Plus he hasn't had a chance to learn the "facts" yet.